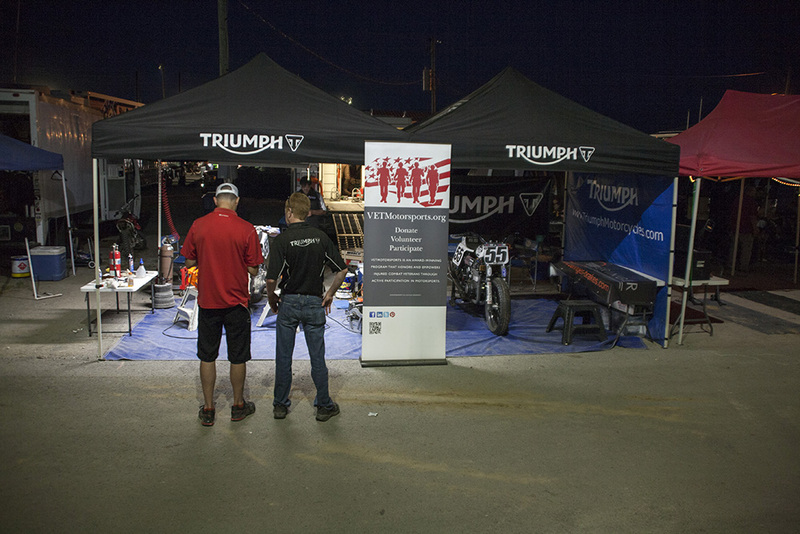 After showing our race credentials and being directed to our spot in the paddock, we set up our pit area. The weather was warm with temperatures expected in the high 80’s, and no rain in the forecast. 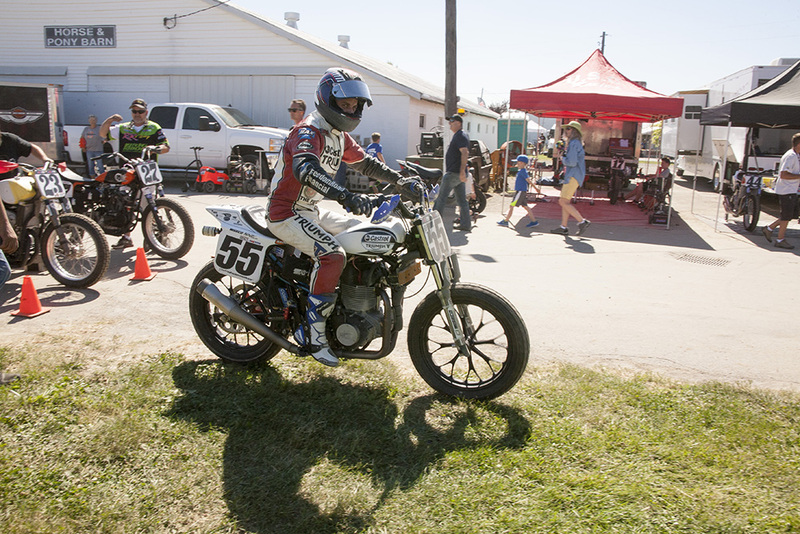 We were again honored by the assistance of VETMotorsports, who supplied a pit crew member to us for the day. It was great to meet and work with Darrell! 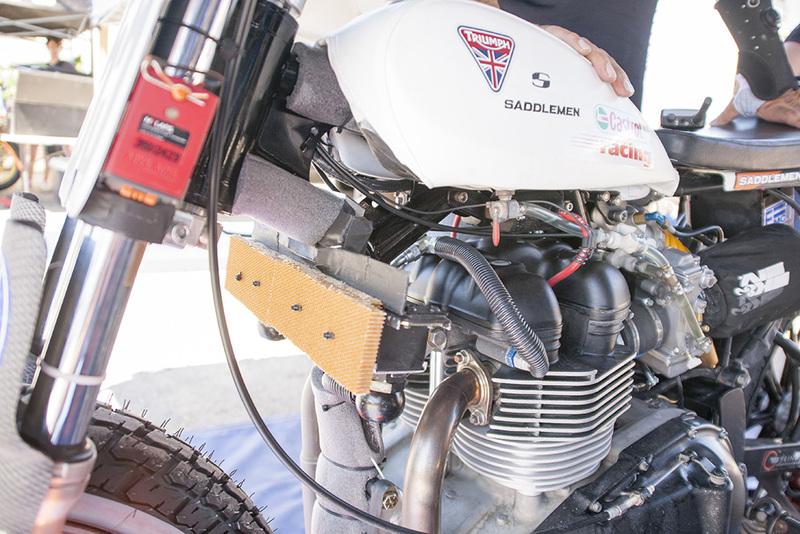 Darrel and Steve prepping the Bonneville Performance Supertracker! 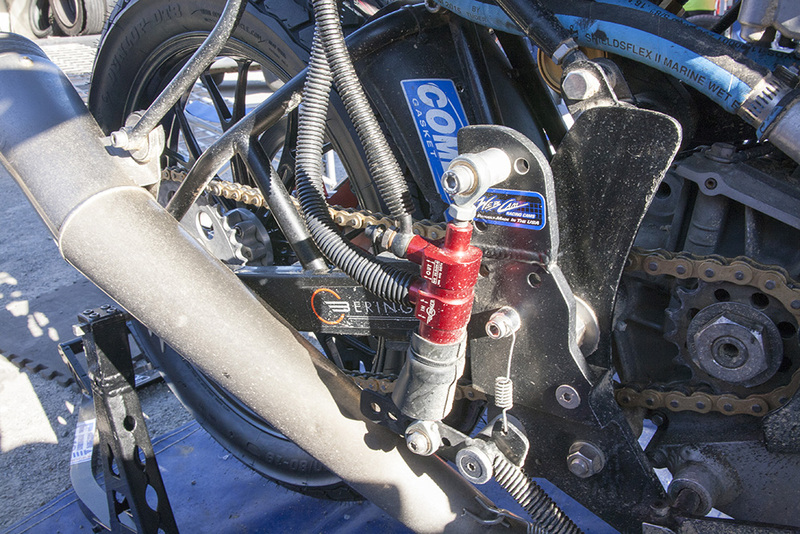 That’s also an Ohlins monoshock mounted on a custom designed and fabricated racing frame. 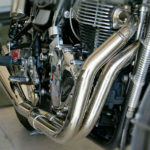 You can actually buy a street-legal version of this bike called a Street Tracker on the Bonneville Performance website. 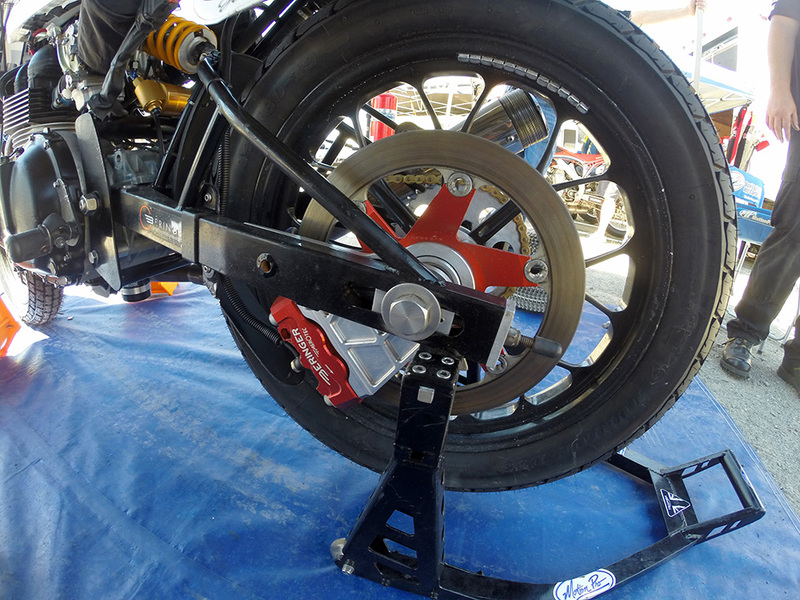 Our new sponsor, Beringer Brakes supplied a new rear brake setup! 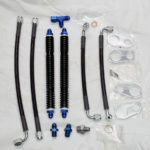 The new Beringer Brake rear master cylinder setup. 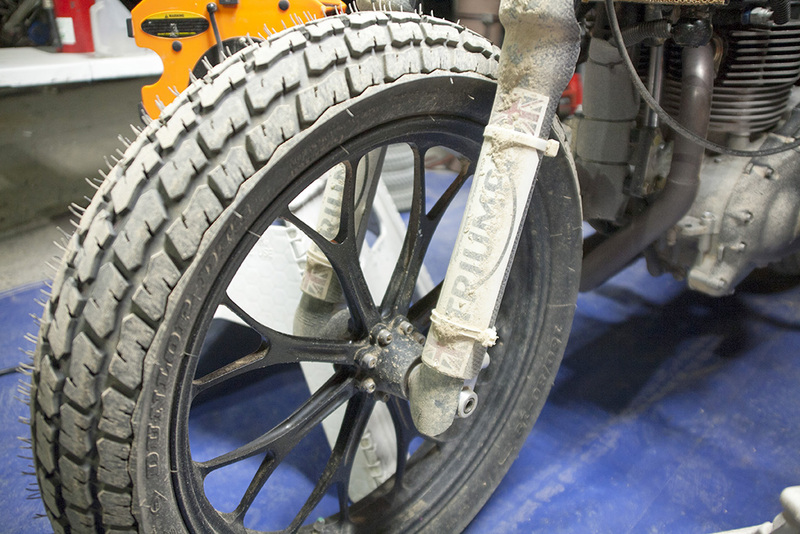 In our opinion, there are no better brakes than these! 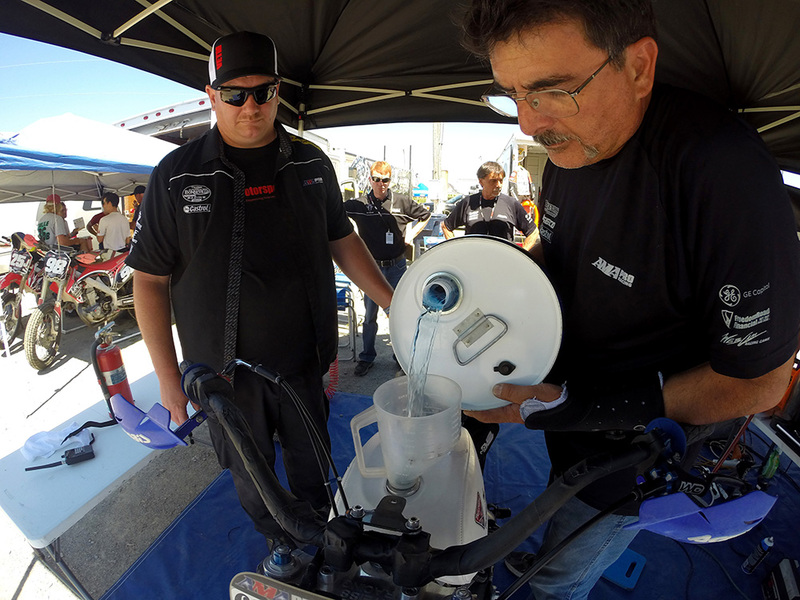 Darrel and Steve fueling up for practice runs! 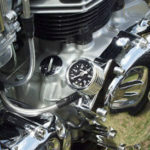 Steve adding a tachometer for our practice runs to gather data for determining the best gearing for this track. 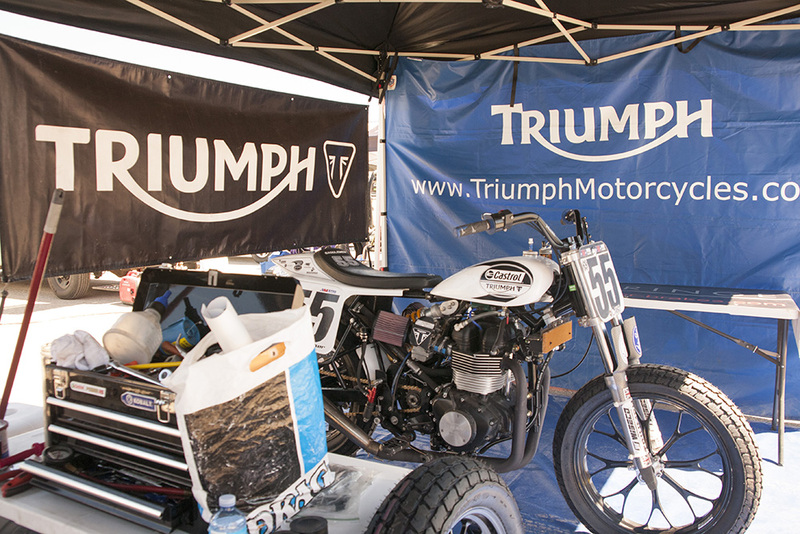 Our back-up Bonneville Performance Supertracker in the pit area. 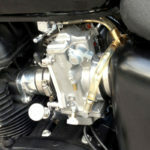 Protective covers on the oil cooler. At Lima it is necessary to cover and protect anything that could be damaged by flying bits of pea gravel, which is what this type of “cushioned track” is made of. 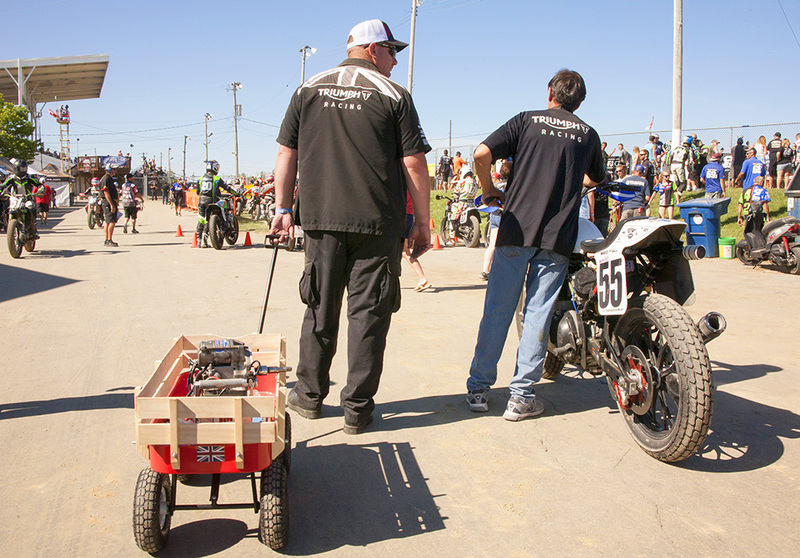 We use the “little red wagon” to carry the starter and a few tools with us to the staging area in case they are needed. 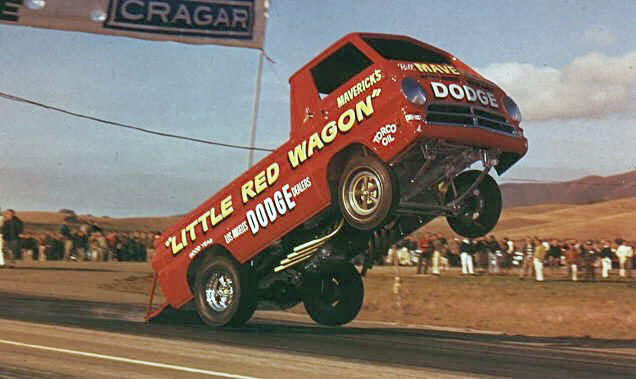 Reminded me of the famous Dodge drag truck from the 1960’s! 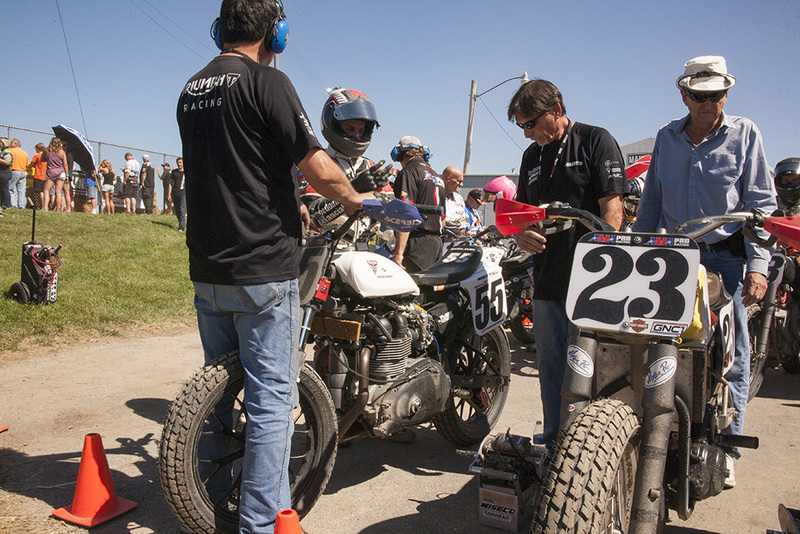 Steve, Jake and Bill getting the Bonneville Performance SuperTracker lined up and staged for our practice runs. We saw a lot of this truck throughput the day! 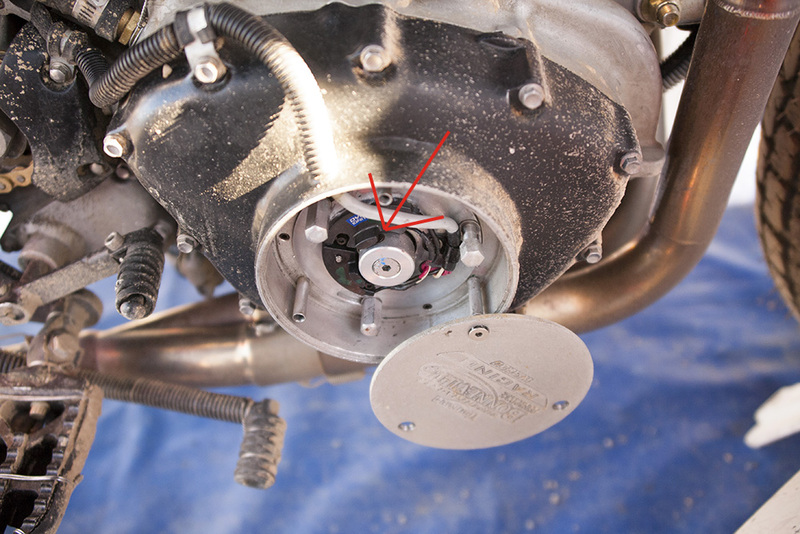 The greatest negative factor for the day was a small magnet in the ignition coming out of its position hole during a timed practice run (see photo), causing immediate loss of power (no magnet, no ignition) and ending Jake’s chances at posting a faster lap time. Even though eventually fixed, it caused ripple effects for the rest of the day. 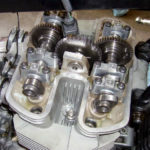 By not gaining a faster lap time, his positions in the following heat races were not favorable, which lead to him needing to compete in a more competitive semi-final, which knocked us out of the main event race… all from one tiny magnet! 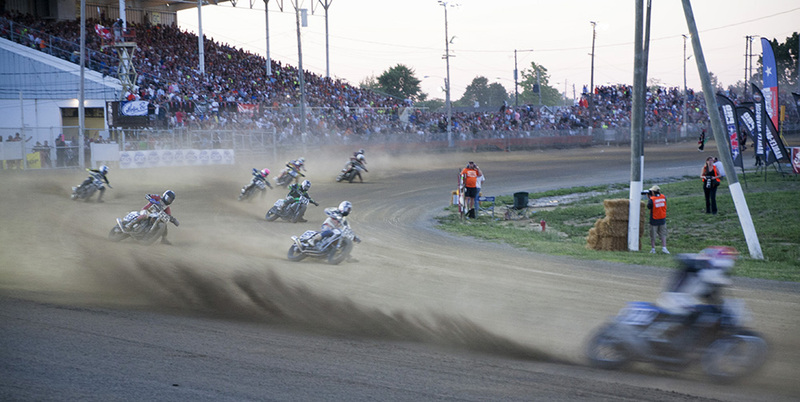 Flat Track racing at this Pro level is not for the faint of heart! This little ignition magnet was the cause of our mechanical issues for the day! 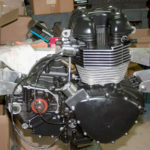 Once we identified the ignition problem, and were able to JB Weld the magnet back into place, we were back in business and ready to go! Darrell looking on as Steve and Jake discuss the ignition magnet situation. 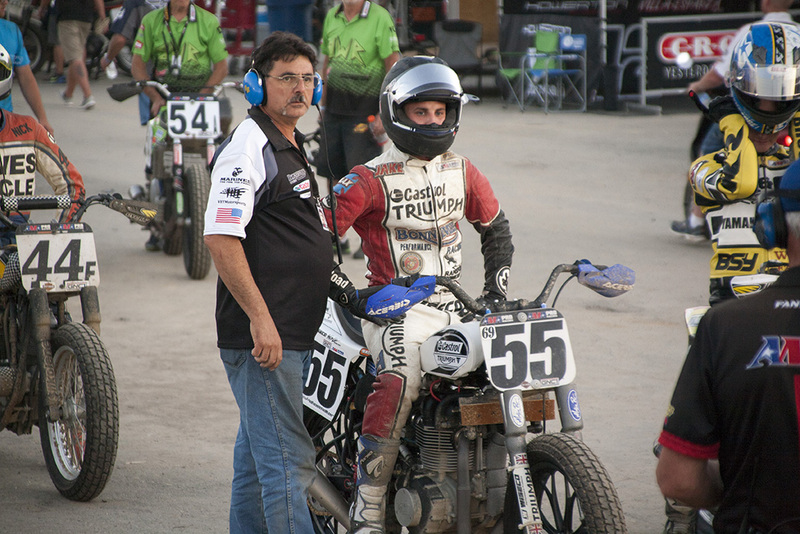 Darrel assisting Steve in flipping the rear tire/wheel in time for the next race. In the staging area again, ready for a semi-final race. Jake Shoemaker #55 right in the middle of the pack fighting for position. Close up example of how caked-on the dirt at Lima can get! Sometimes it feels like hardened concrete! 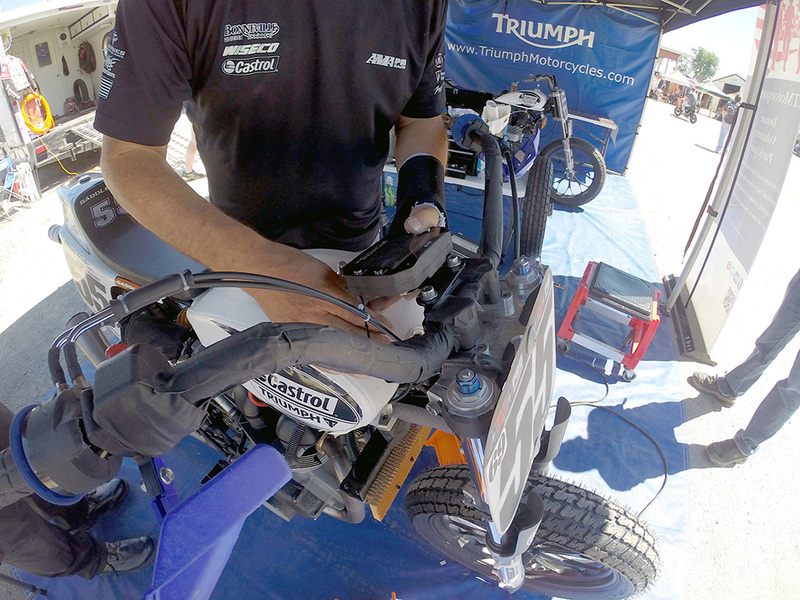 Putting that flipped rear tire/wheel back on the Supertracker. 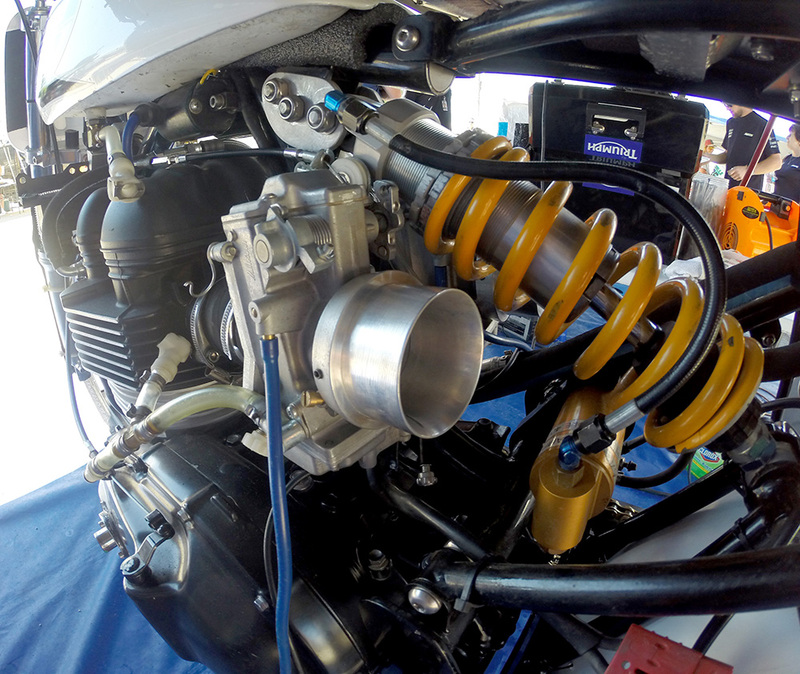 Twin cooling fans to cool down the BP Supertracker after each race. 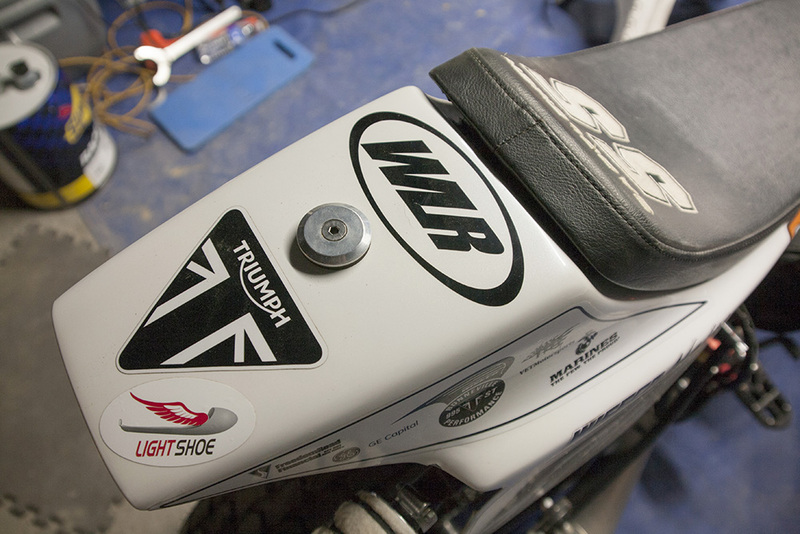 We welcome a new sponsor to the team – WLR! 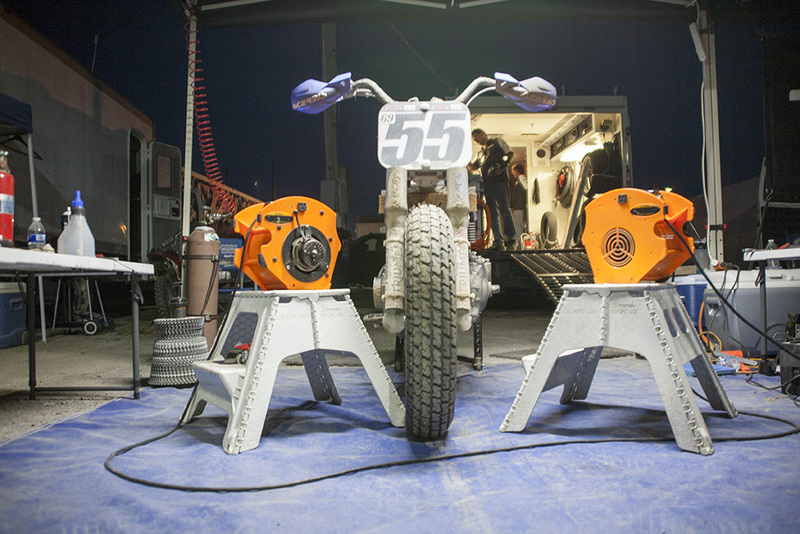 Our sponsors are very important to us as they make this level of professional racing possible. 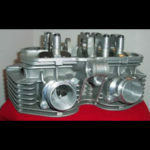 We encourage our followers and supporters to support our sponsors as well: Triumph Motorcycles, Castrol, Freedom Road Financial, GE Capital, Web Cams, Wiseco Pistons, Beringer Brakes, Cometic gaskets, Dunlop Tires, Motion Pro, Saddlemen and more! Thank you! Pete Cline and Steve Bidlack checking the race stats and standings. 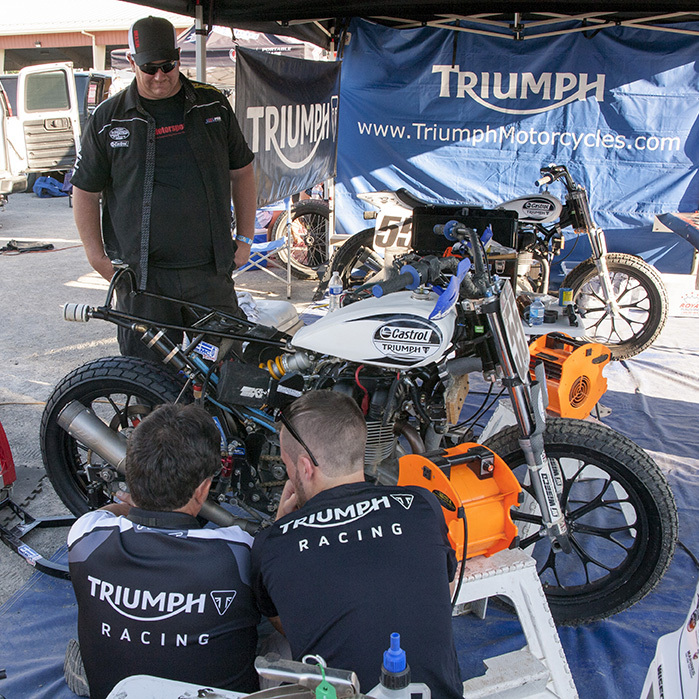 Packing up the pit area into the truck and heading out to the next race at the Charlotte Half Mile. 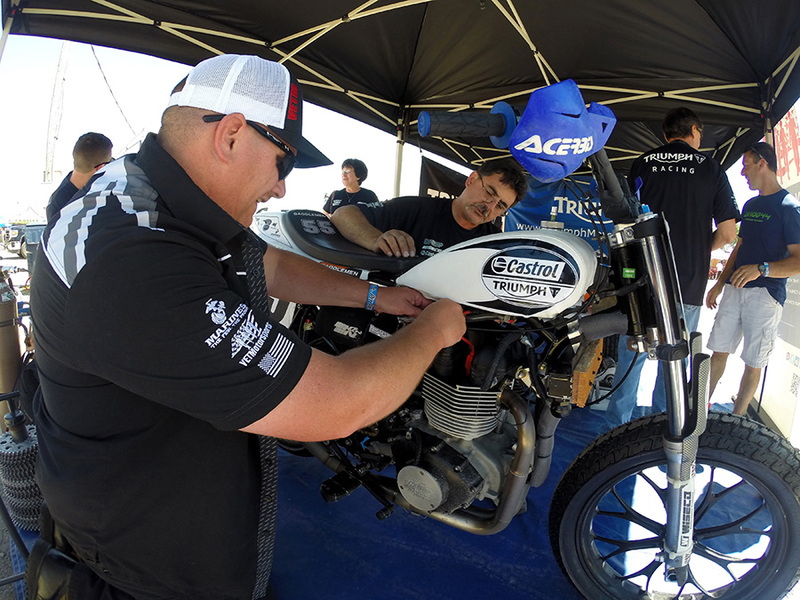 This year’s Charlotte Half Mile takes place on July 30, 2016 and will kick off a new, three-year deal with the AMA at this world-class venue!